Field Hockey & Leadership Academy is a camp where players will develop field hockey skills while learning how to become more effective leaders and what it means to be a great teammate. At camp, we will help campers learn about being part of something – a team or cause – bigger than themselves. The camp will combine outstanding field hockey instruction with off-field activities and workshops designed to promote teamwork and teach leadership skills. At the end of camp, we want all campers to not only be better field hockey players, but also recognize how as leaders they can be more valuable to their team, their school, and their community. Learning the critical life lessons to guide you as a responsible member of your school, community, family & team will serve you for years to come. The FHLA role models, the field hockey game & the women’s leadership workshops balanced with some summer fun all takes place among the beautiful natural setting of The Hotchkiss School in Lakeville, CT. Interested in a summer experience to remember – This academy will help you hone field hockey skills that will serve you on and off the field in life! 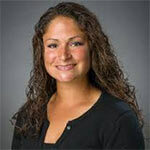 Cheryl Canada, Associate Head Coach of the Quinnipiac Field Hockey Team will lead the players on the Field Hockey & Leadership Academy journey. Joining Cheryl will be a collection of NCAA & High School coaches and players. The Leadership Curriculum will be led by Heidi Kasevich, Ph.D., a specialist in educating female leaders. Heidi will run daily sessions with our athletes cultivating the traits of ambition, resilience, and courage. She is passionate about the idea that with intentional leadership education, women will be able to lean in and stay in. The girls at camp will be given tools to express themselves better, trust teammates and work together to become confident and strong leaders. We look forward to our seeing our camp graduates become empowered and have a lasting positive impact on their teams and communities. The Hotchkiss School in Lakeville, CT with vista views of the Berkshire mountains is the perfect site for this camp. Overlooking Lake Wononscopomuc, the school offers numerous turf fields as well as a state-of-the-art athletic center. Lakefront activities will include endless summer fun – recreational swimming, fishing, kayaking and bonfires. Wellness hikes to Beeslick Brook Woods & Waterfalls will give players a chance to clear their heads and enjoy nature. Campers will share nutritious farm-to-table meals in the dinning-halls, attend leadership workshops in the fully-equipped media classrooms & sleep in the comfortable dormitories. With 2 – 3 daily field hockey sessions, players can expect to improve their individual skills at our skill clinics. Players will also enjoy competing against other camp teams at evening scrimmages. Dual Sport Athletes can choose to train in both field hockey & lacrosse during the camp. These campers run on the same schedule, but each day is a different sport. Ex: Monday is Lacrosse, Tuesday is Field Hockey and so on. The Lacrosse Curriculum is led by Wesleyan University Head Coach Kim Williams. Campers are groups according to age for leadership workshops, adventure activities as well as in the dorms. The leadership curriculum is taught by Heidi Kasevich, PhD. She is a well-known speaker, consultant, and author in the field of female leadership. Her workshops cultivate the traits of ambition, resilience, and courage, and teaches girls the skills needed to be self-aware, confident individuals who know their value and are prepared to lead through authenticity. RESECT– Self and Other, Strengths and Stretches. RESILIENCE– Motivating Self – A Failing Forward Mindset. HUMILITY –Motiving Others—Beyond the Cheer. Check-In: Campers will check in at 2pm. Dinner will be the first meal served. Drop off will occur at the Main Circle (11 Interlaken Road, Lakeville CT, 06039) Inside the big brick building w/the white columns on the campus map. (CAMPUS MAP) We will then proceed to our dorm. Check-Out: Campers will check out at 1:00pm at the check-in location.Parents are encouraged to attend the morning session of games on the last day starting at 9am! Check-out will occur immediately after the closing ceremony. We utilize inclement weather opportunities to focus on team building, video analysis, individual meetings. Cheryl Canada just completed her 11th season as a member of the Quinnipiac coaching staff in 2018. An offensive specialist with a strong technical knowledge and a wealth of local and national coaching experience, Canada was promoted to associate head coach in December 2014 . In addition to practice planning, Canada plays a pivotal role as the Recruiting Coordinator and seeking and securing future student-athletes to Quinnipiac. She currently serves on the NFHCA Division I senior all-star game committee. Canada has mentored 91 All-Conference players, 24 NFHCA Mideast Region All-Americans, three Northeast Conference Players of the Year, three NEC Goaltenders of the Year, one Rookie of the Year and a Defensive Player of the Year, as well as three NEC Tournament MVP’s and six NFHCA North-South Senior Game participants. 2014 All-MAAC First Team performer Danielle Allan, 2013 Metro Atlantic Athletic Conference (MAAC) Player of the Year and Offensive Player of the Year Jess Rusin, All-MAAC forward Danielle Allan as well as All-NEC stand-out Katie Notarianni ’12. In addition to her work with the forwards, Canada’s other responsibilities include daily practice design for Quinnipiac goalkeepers, which included 2012 Northeast Conference Goalkeeper of the Year Nicole Lewis and two-time MAAC Goalkeeper of the Year Megan Conaboy. On the Bobcat sideline, Canada can claim Two Metro Atlantic Athletic Conference Regular-Season Co-Champions (2013, 2015), 2013 Metro Atlantic Athletic Conference Tournament Champion, Two-time NCAA Field Hockey Tournament Participant (2003, 2013). Successfully achieved the title of regular season champions for the MAAC Conference 2013 and 2015, won one MAAC Conference Championship games in 2013, and one appearance in NCAA tournaments in 2013. Best record in program history in 2013 (14-7). Achieved a combined record of 32-7 in 2016 and 2017. A former four-year stand-out for the Bobcats as a forward, in 2003 she can claim the Northeast Conference Championship title and NCAA play-in game participation. Canada coordinates all logistics for team travel, team-building activities and community service organizer with surrounding towns. The field hockey program has established close relationships with local daycares, schools and libraries within the towns of Hamden, North Haven, Norford and North Branford. Canada has been the driving force behind Quinnipiac field hockeys Vs. Cancer game, “Be The Match” Bone Marrow drive for six years, as well as the Play4TheCure Breast Cancer Awareness game for over seven years. Canada has also coordinated the team’s participation in Read Across America, Library Day and many other outreach programs. During her time as an attacking Bobcat, Quinnipiac won the 2003 Northeast Conference Championship and competed in the NCAA Division I play-in game that same season. In 2012, Canada earned her USA Field Hockey Level 2 certification. She has been involved with the USA Field Hockey for over 10 years serving as a coach for the Futures Program. For the past six years, Canada has served as Head Coach and Site Director for the Connecticut U19, U16 and U14 site. She has served as a selector for the US Women’s Master’s try-outs, National and Regional Futures Tournament. In 2015 Canada was inducted into the North Branford High School Hall of Fame. Prior to returning to Quinnipiac, in 2007-08 Canada served as the assistant for the University of Rochester in Rochester, N.Y. In 2005-2007 she served an assistant coach at North Branford High School (Conn.) where she also attended, for field hockey and lacrosse season. While coaching the North Branford field hockey team, they captured the 2006 Class S State Championship, their first state title in 30 years. Canada graduated from Quinnipiac with a bachelor’s degree in 2006. Cheryl resides in North Branford, CT. with her husband and daughter. A specialist in educating women leaders, Heidi Kasevich, PhD, is a speaker, consultant, author, and curriculum designer in the fields of leadership and global women’s issues. Her signature program, Closing the Gap, cultivates the traits of ambition, resilience, and courage, and teaches girls the skills needed to be self-aware, confident individuals who know their value and are prepared to lead through authenticity. She is passionate about the idea that with intentional leadership education, women will be able to lean in and stay in: Closing the Gapis designed to shift mindsets, provide tools for navigating gender bias, and empower girls to have a positive impact on the world. The Academy’s athletic facilities offer the optimal training environment for field hockey players. Campers are going to look forward to each training session. 2 Field Hockey fields – Downing Field is a synthetic turf field & the Class of ’49 Field is well-manicured grass field, both with field hockey lines and goals + One field is lit for night games! Lake Wononscopomuc, the deepest fresh water lake in Connecticut offering endless the waterfront activities and will summer fun including recreational swimming, fishing, kayaking and bonfires. Our staff supervises all of our campers who want to take out a canoe or go fishing. Lifeguards are on duty at the beach. Campers will stay in dorms. A typical room houses 1 – 2 campers. We will divide up the campers into pods of 10 – 15 and assign 1 – 2 counselors for every pod. All campers will stay in the same dormitory and use building amenities including bathrooms (sinks, toilets and showers), common room equipped with a T.V. & DVD player, vending machines & microwave. The dorms are not-air conditioned. Counselors provide on-going supervision, promote friendship and camaraderie between campers.